Lisi is a seasoned business executive with extensive experience overseeing financial operations and administrative functions. In her role as Administrative Officer, Lisi is responsible for all aspects of JDJ’s practice management, including ensuring a consistent and high-quality client service experience, maximizing our internal and external resources, and supporting our client teams. Lisi’s broad expertise, thoughtful nature, and collaborative approach make her a pleasure to work with and we are extremely pleased to have her as a member of our leadership team. Lisi’s professional experience spans a variety of industries, including public accounting, commercial real estate, and non-profit. Prior to joining JDJ, Lisi was Director of Finance & Operations at The Rashi School, where she oversaw all financial and operational matters. Previously, Lisi was Director of Finance & Operations for nine years at CBRE Econometric Advisors, a business until of CBRE, the world’s largest commercial real estate company. In this position, her responsibilities included direct oversight of Accounting, Human Resources, Information Technology, Facilities, and Marketing. In addition, Lisi co-founded and served as Chief Operating Officer of an award-willing specialty chocolate manufacturing company. 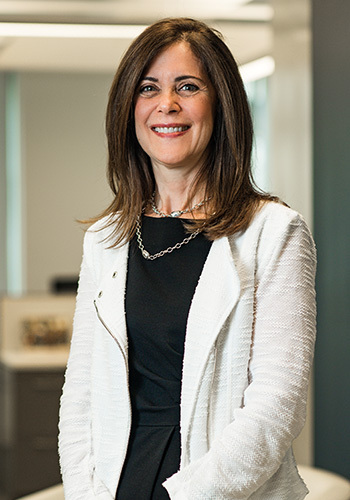 During her twelve-year tenure in this role, she facilitated exponential annual revenue increases, and created and managed six private label programs, collaborating with well-known retailers. Lisi graduated from Bowdoin College with a Bachelor of Arts in Economics and Political Science and earned a Master of Science degree in Accounting from Northeastern University D'Amore-McKim School of Business. Lisi is a member of Financial Executives International, where she serves as a member of their Academic Relations Committee. She is also a member of The Boston Club, where she serves on the Finance Committee.